We highly recommend a training suit for use in the summer. The fabric make your skin feel cool, non-sticky, opaque, breathable and quick to dry. Color : green, light green, purple, yellow, blue, white, black, navy blue, pink, rose red. Fabric : polyester and spandex, smooth and cool fabric, easy to wash and maintain. 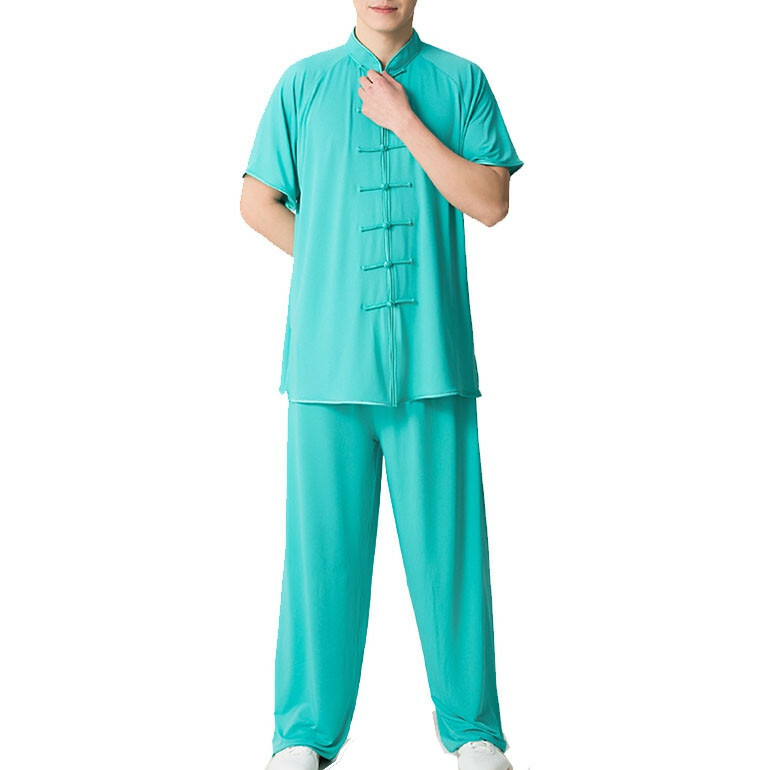 Unlike traditional Tai Chi clothing, cutting and sewing ​​in the way of sportswear. Loose pants with elastic at waist and ankles. An inner pocket on the pants.